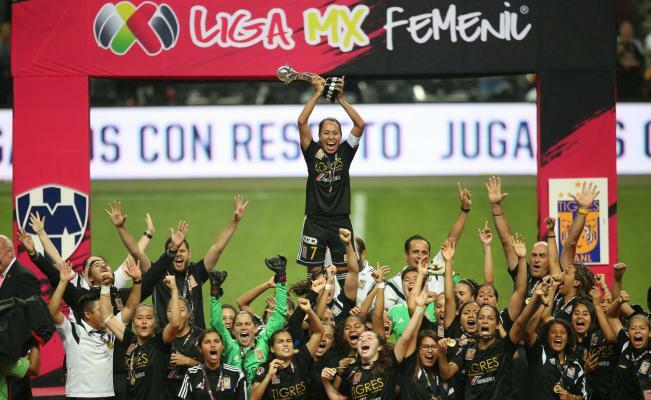 The Mexican Women’s league came to a close on 4th May with the UANL Tigres holding off the fierce competition from the Rayados of Monterrey to become 2018 champions. The 2nd leg was destined to be a close match given that the 1st leg ended in a 2-2 draw, and close it was. It seemed like Tigres would win the game 2-1 as the game moved into added time but Norali Armenta of Monterrey had other ideas as she bagged a last minute header to bring the game to 2-2 at full time. Extra time came and went with no more goals and so to penalties it was. Monterrey missed their first penalty and in doing so set up Tigres for a win. Tigres then took full advantage of this by scoring all of their kicks and so won the game 4-2 on penalties. This makes Tigres only the second team to win the Liga MX Femenil after Chivas won the inaugural competition last year. Women’s football in Mexico just keeps getting bigger and better!